Set your enemies alight with our guide to finding the Flame Vent location in Sekiro: Shadows Die Twice. 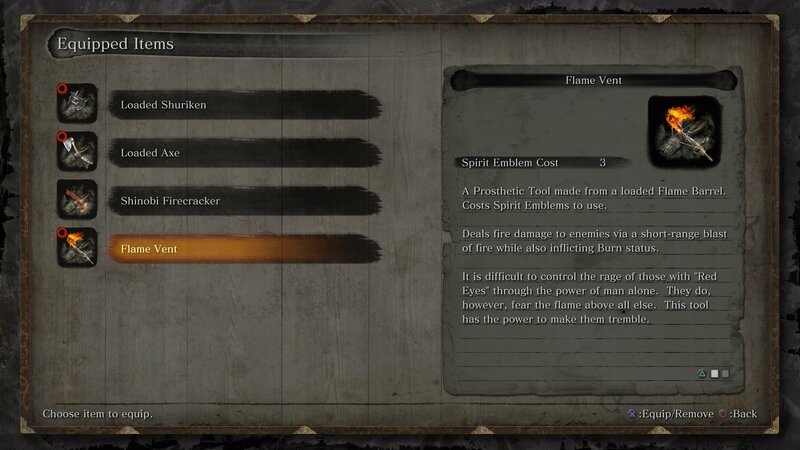 There are some pretty sweet attachments available for the shinobi prosthetic in Sekiro: Shadows Die Twice, but the coolest is arguably the Flame Vent. Capable of spewing fire at any foes in front, this tool is nearly essential for tackling any of the giant, red-eyed beast enemies that you’ll run into during your travels in ancient Japan. You can grab this upgrade pretty early in the game, but it’s all too easy to walk straight past it, even when given a hint. In this guide we’ll teach you the Flame Vent location in Sekiro: Shadows Die Twice. The Flame Vent can be found in the Hirata Estate section of the game. If you’ve yet to unlock this, speak to the old lady in the ruined building between the Outskirts Wall - Gate Path and Outskirts Wall - Stairway Sculptor’s Idols. 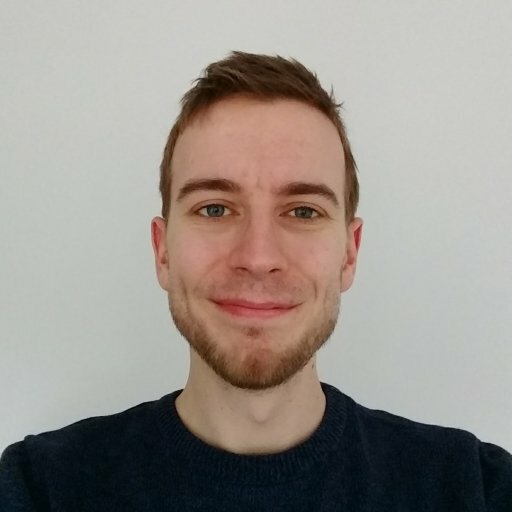 You’ll need to take out a few enemy soldiers include an annoying rifleman in another ruined building. Speak with the lady and she’ll give you a bell which you can offer to the Buddha statue in the Dilapidated Temple. This will open up the Hirata Estate story path. The Flame Vent can be acquired after the Estate Path Sculptor’s Idol. It’s in the same area as the Loaded Axe, so follow out guide for that too if you haven’t got it already. Follow the main road until you reach a locked shortcut gate. If you’ve already opened this, then you can head straight through and follow the main road up until the path to the right where the dying man will tell you about the Loaded Axe which you can also collect nearby. If you haven’t opened the shortcut, follow the main path to the right through the wall where you’ll need to fight several enemy soldiers including archers on rooftops and dogs. Either route you take, you’ll come to a large bonfire with enemies lounging around it. 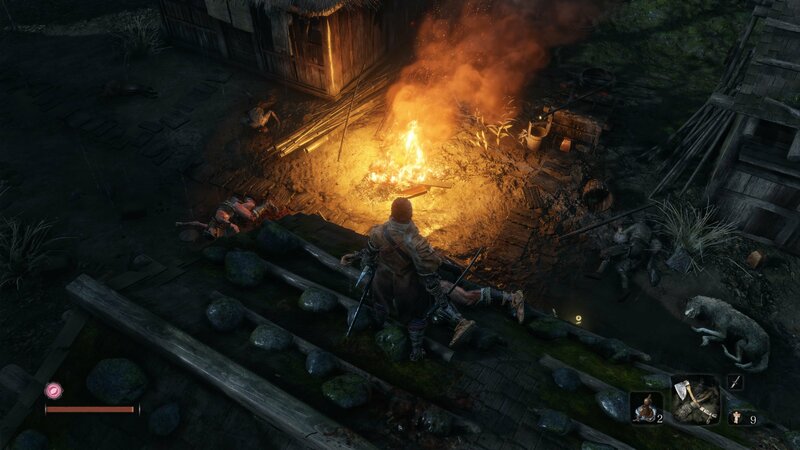 The Flame Vent is within the bonfire itself, which you can learn either through eavesdropping or paying the Ashina Outskirts merchant some sen. Clear the enemy soldiers and dogs from around it, then approach the fire closely (not too close though, fire certainly hurts!). You should be able to grab the Flame Barrel from within the bonfire. Take this back to the Sculptor at the Dilapidated Temple and you’ll be able to equip the Flame Vent. 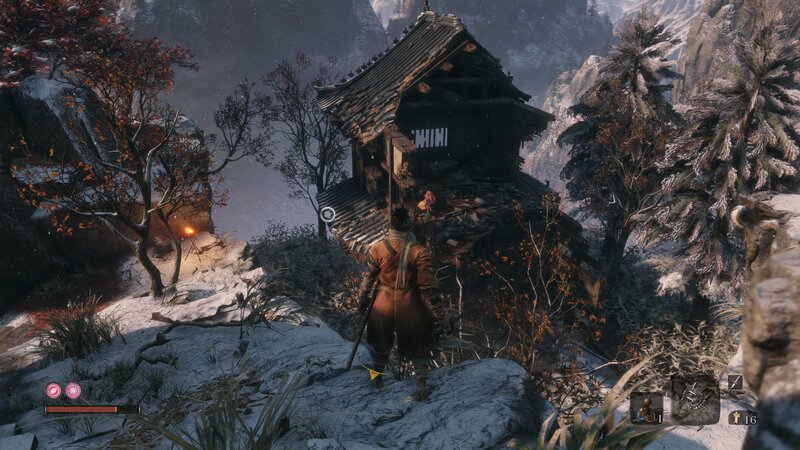 Now that you know the Flame Vent Location, make sure you’ve obtained the other shinobi prosthetic tools in Sekiro: Shadows Die Twice. Our Shinobi Prosthetic Tool locations hub can help you find the Loaded Axe, Shinobi Firecracker, Loaded Spear locations and more, so go get yourself tooled up!